Hey guys! So quite a disappointment with the transmission problems, but there’s really no such thing as an easy build. I’m infinitely grateful that the engine has been problem free thus far. 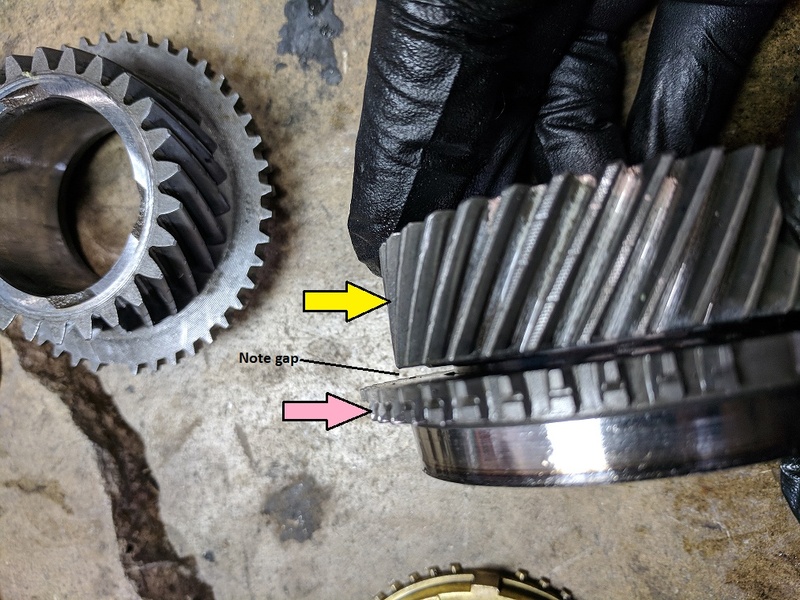 I’ve tried to illustrate what exactly I think happened to both transmissions here, and although I mentioned it briefly in the video I do think the aggressiveness of the clutch played the biggest part in these failures. 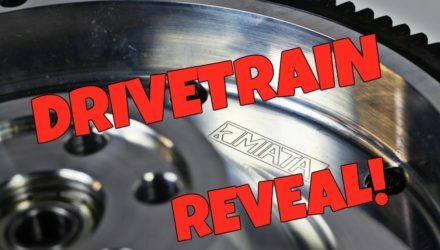 There’s no problem with the clutch, but the Miata trans is just fragile (both 5 and 6 speeds). 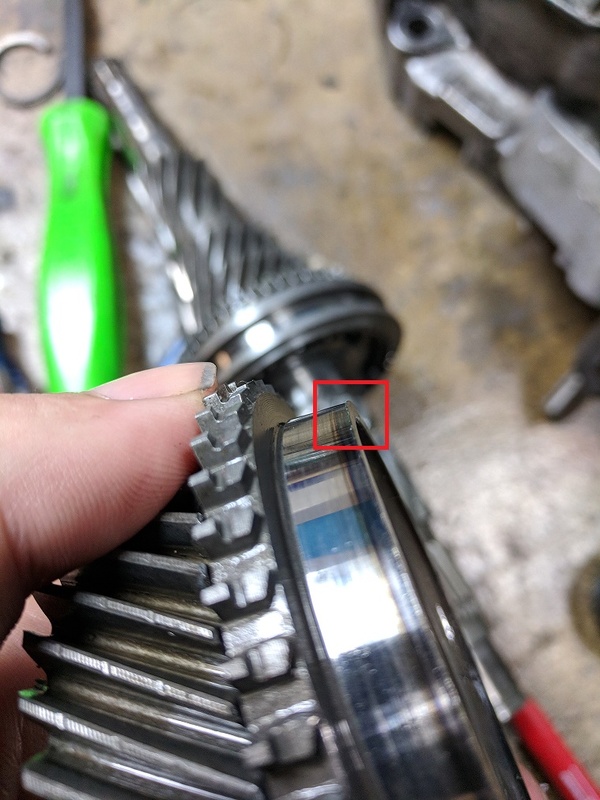 As of writing this, the 5-speed is holding up fine at ~11psi. The future? Well… you’ll have to wait to find out. I’m looking to crank the boost back up as soon as possible. 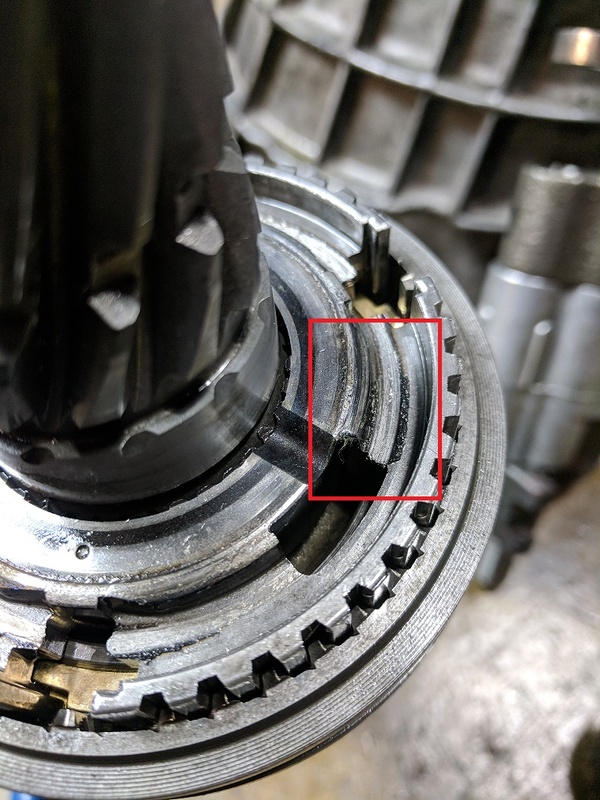 First, let’s have a look at the countershaft. This houses the selector for 3rd and 4th gear only. Anatomy outlined below. Below is also the countershaft but with the gear selector sleeve removed so you can see the hub. Important note: there’s supposed to be a specific distance between purple and yellow, so that 4th gear is free floating. This appears to be the failure. 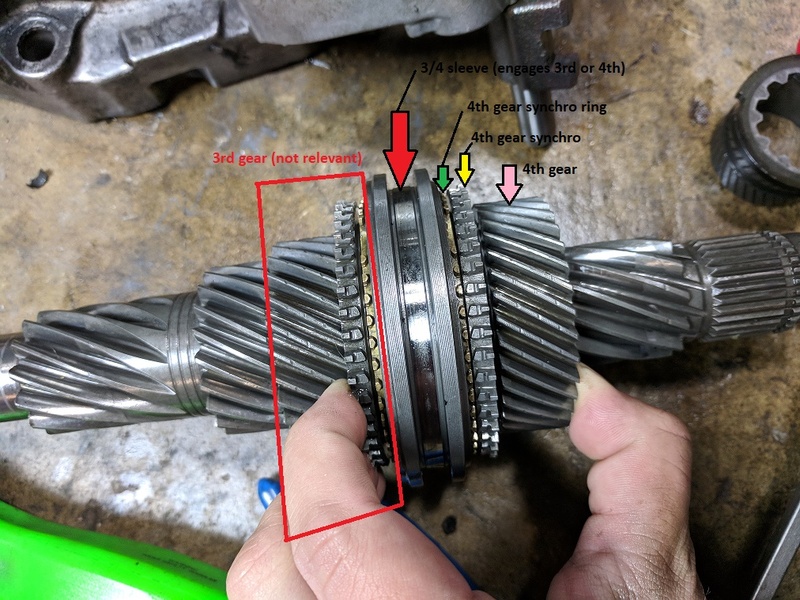 The synchro has slid off 4th gear slightly, causing it to bind with the hub, and therefor the countershaft, causing the car to pull forward in neutral. My recommendations: 100% buy a sprung clutch. Don’t even bother with an unsprung clutch disc. I wanted “max shifting performance” so I took the risk of running the unsprung discs. Ouch. 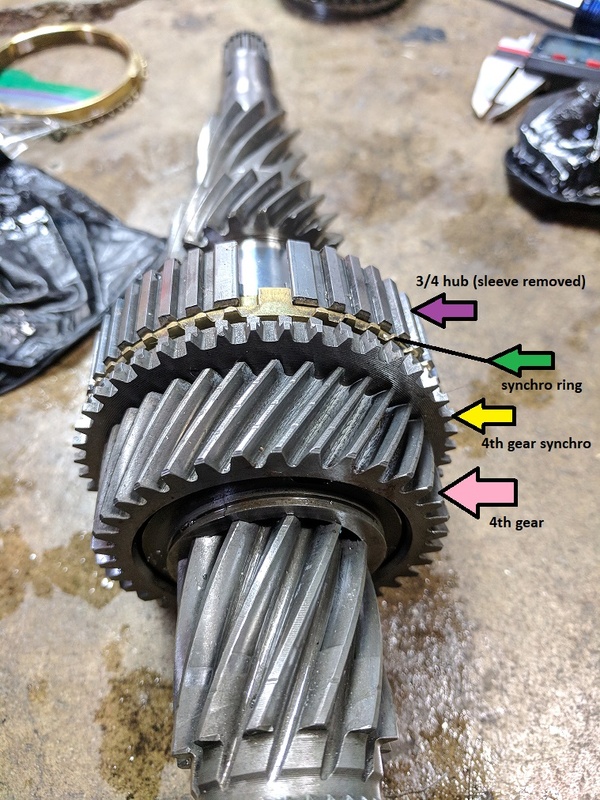 From an engineering standpoint (no, I’m not an engineer) I’d bet if you were able to rebuild the 6-speed with 4th gear spot welded to the engagement ring, it could at least eliminate one failure point. It will never happen with 3rd because the gear pushes in the opposite direction (towards the ring). 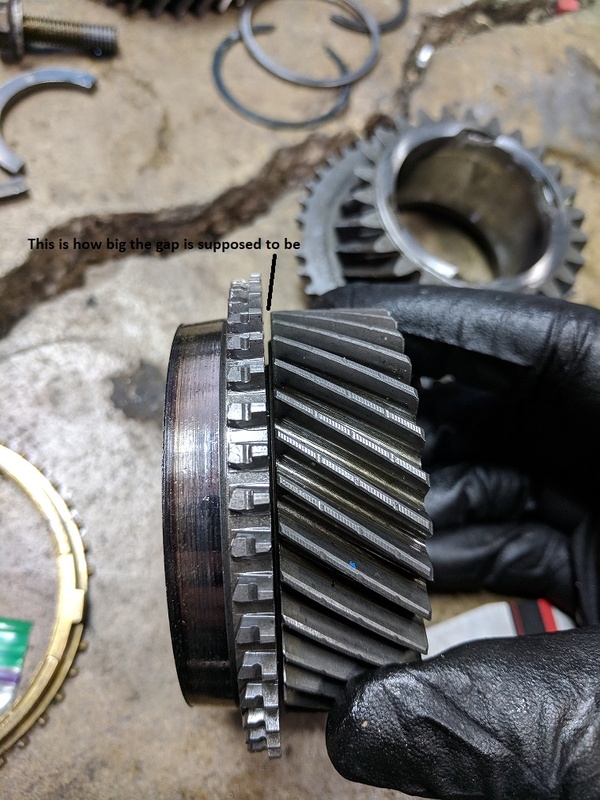 5th gear is just a mainshaft lockout so you can’t break 5th either.